Preparation is the key to maximize your test score in order to maximize scholarships and attend the college of your choice. Each component of the test prep program focuses on the most essential skills students need, including the lastest and most proven test-taking strategies and tips. Review each section of the test while learning tips, mastering strategies, and reviewing the skills necessary to do well on each section. 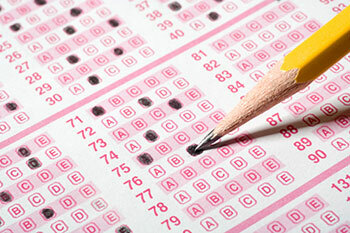 A test prep pre-test will be given the first night and then analyzed to show strengths and weaknesses. Bring a calculator and #2 pencil to class. Textbook required, can be purchased at the SCC College Bookstore. Please read: Bring calculator to class. Purchase textbook at the St. Charles Community College Bookstore.